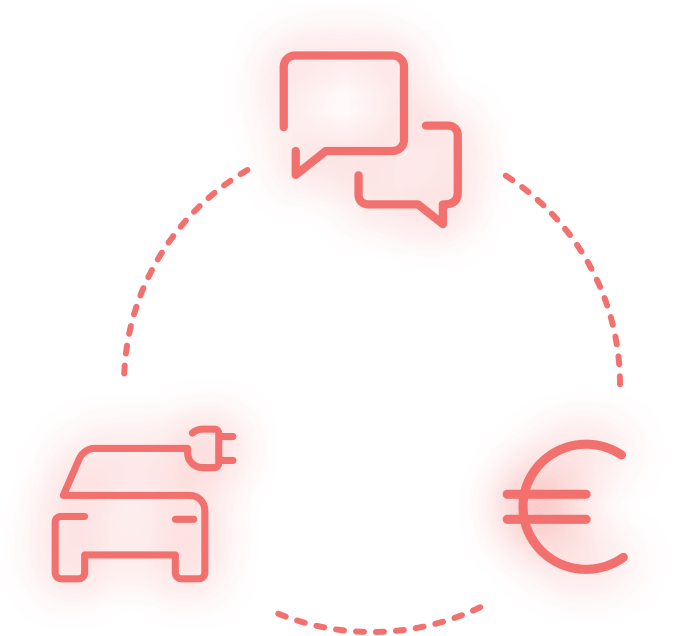 Improve the quality and reputation of your network: connect directly with the Chargemap community to stay informed in real time and increase your reactivity. Chargemap Operator provides feedback from Chargemap users in real time: the number and status of charges* and the revenue* generated. * Features only available for networks compatible with Chargemap Pass. Chargemap Operator is a unique addition to your usual monitoring platform. 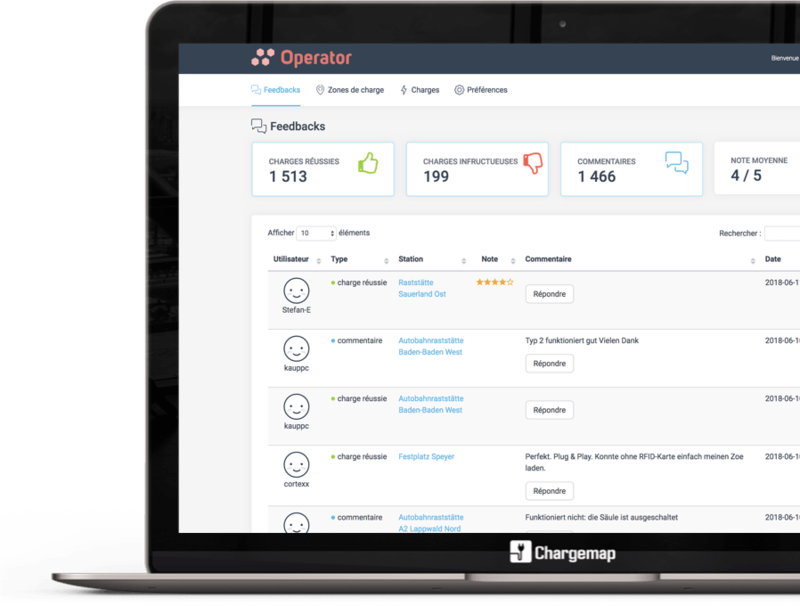 Comments and Check-in reports from the Chargemap community effectively complement the quality of information reported by your other tools. The information reported by Chargemap Operator thus allows you to collect clues about the cause of a malfunction even before sending a technician on site. 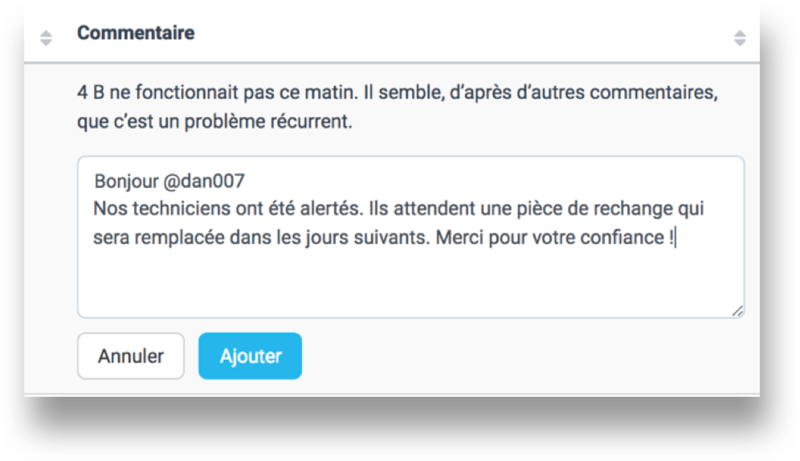 Answer different types of comments posted on Chargemap and interact with your users to improve both your network and image. 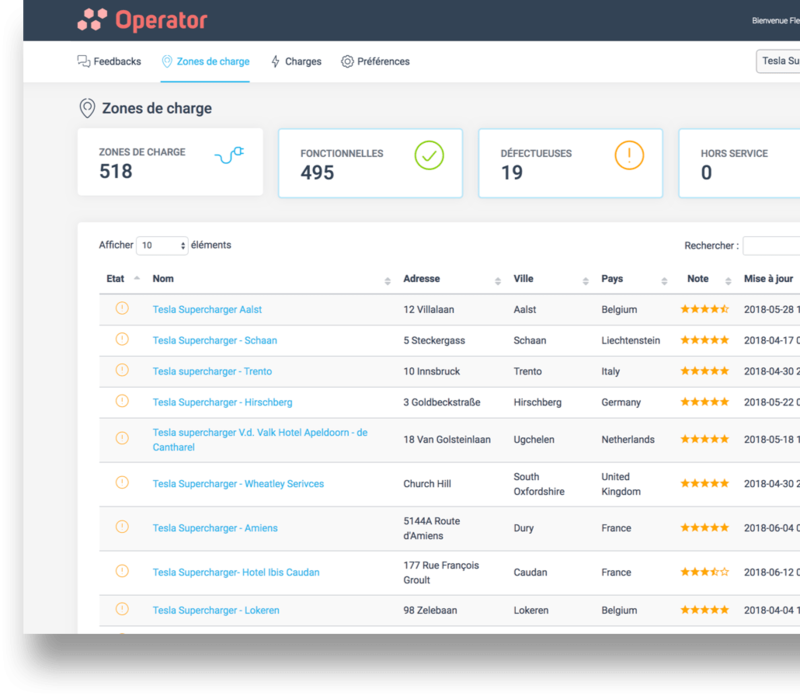 If you are interested in Chargemap Operator, contact us to find out more. By submitting this form, I agree that the information entered will be used as part of the demo application and the business relationship that may result.